Multi-purpose permanent markers ideal for a variety of surfaces and uses. 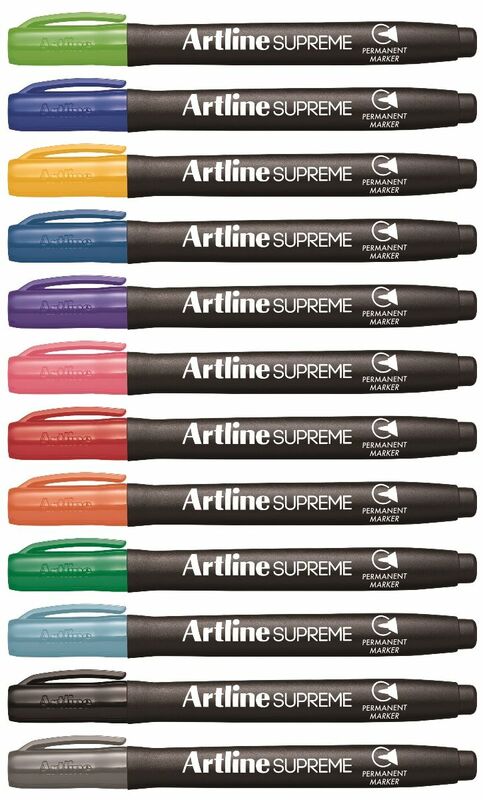 Artline Supreme permanent markers offer a fun and contemporary design with leading functionality. Ideal for all students and teens needs. 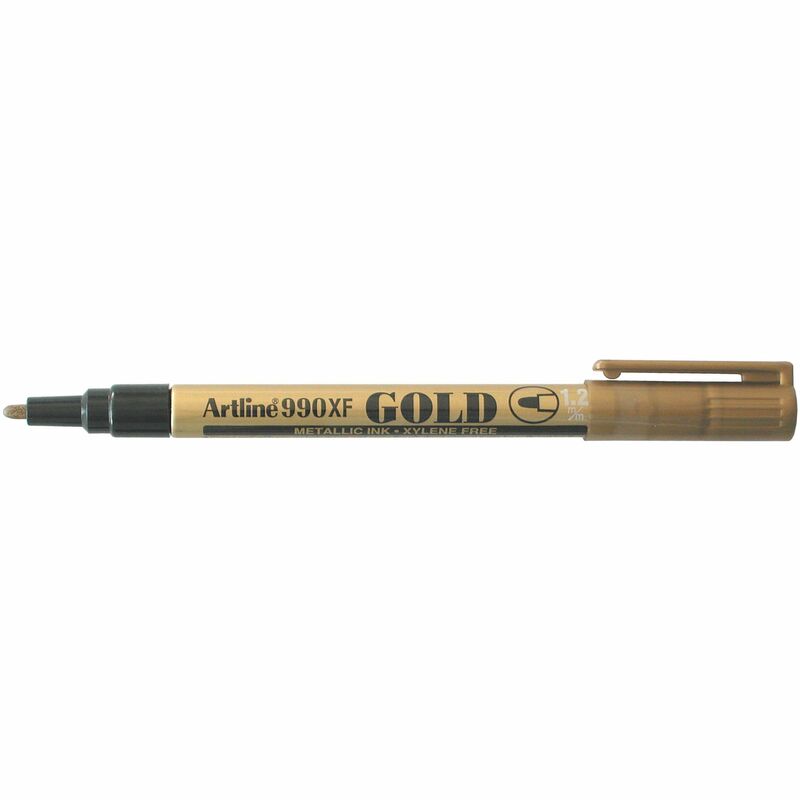 Ideal for all types of permanent marking, from porous surfaces such as cardboard and wood, to non-porous surfaces such as steel and glass. The ink in industrial markers contains Xylene ideal for use on greasy surfaces. 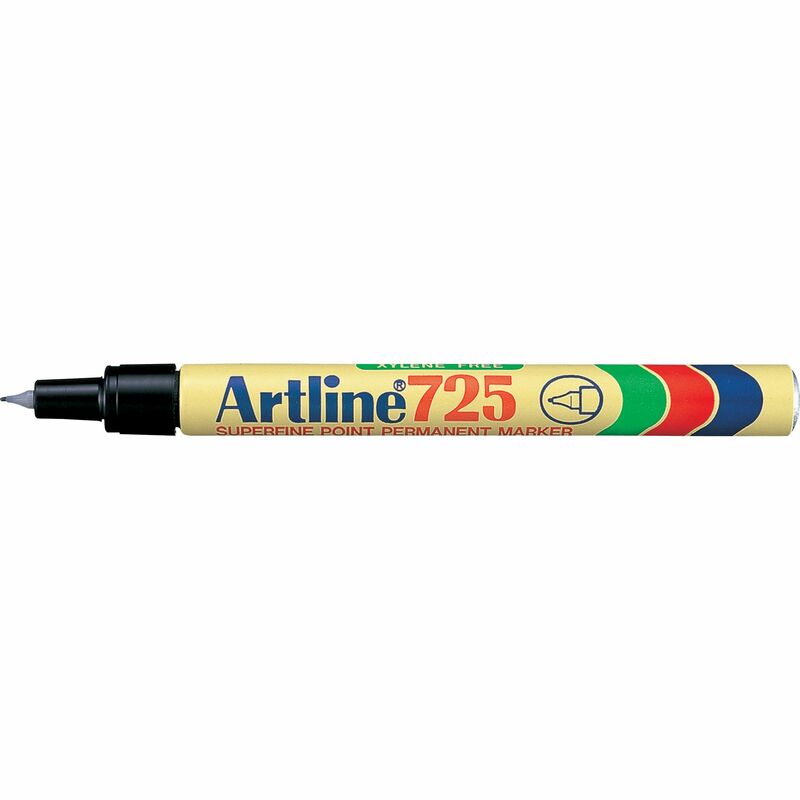 Ideal for all types of permanent marking, from porous surfaces such as cardboard and wood, to non-porous surfaces such as steel and glass. Large body and acrylic fibre nib. 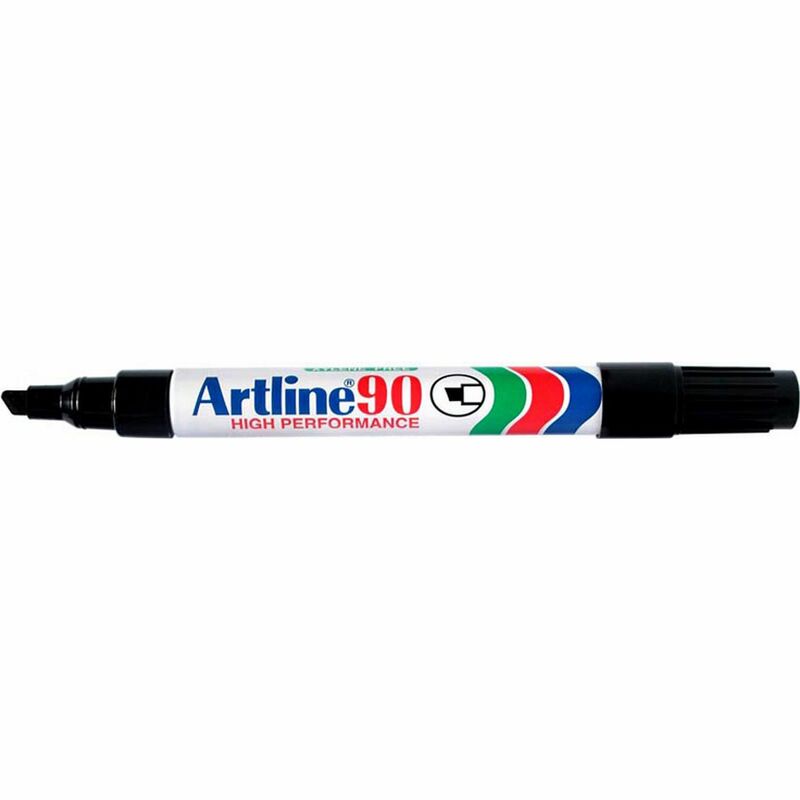 999XF - fast drying, opaque, fade proof permanent markers with fast drying pigment ink that won't fade. These markers are ideal for all types of permanent marking where indelible marking is required. Suitable for any surface indoors or out, including black material. The metallic ink markers have pigments in the ink that are reflective and give a slightly embossed finish when dry. 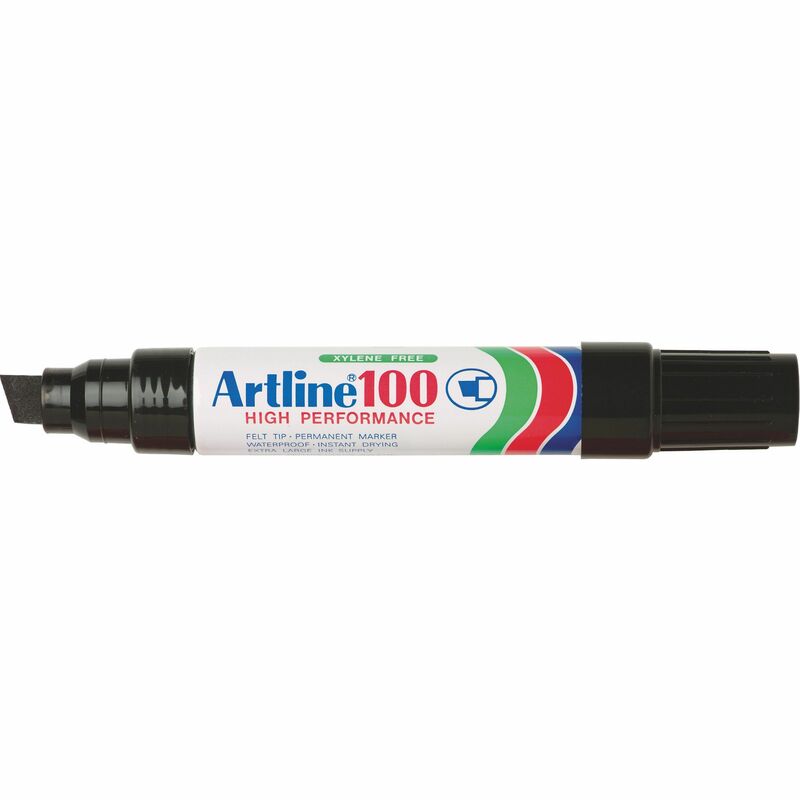 990XF - fast drying, opaque, fade proof permanent markers with fast drying pigment ink that won't fade. These markers are ideal for all types of permanent marking where indelible marking is required. Suitable for any surface indoors or out, including black material. The metallic ink markers have pigments in the ink that are reflective and give a slightly embossed finish when dry. 900XF - fast drying, opaque, fade proof permanent markers with fast drying pigment ink that won't fade. 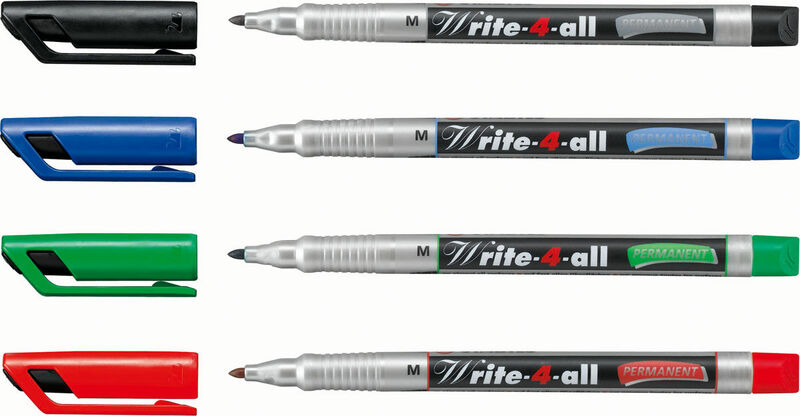 These markers are ideal for all types of permanent marking where indelible marking is required. Suitable for any surface indoors or out, including black material. 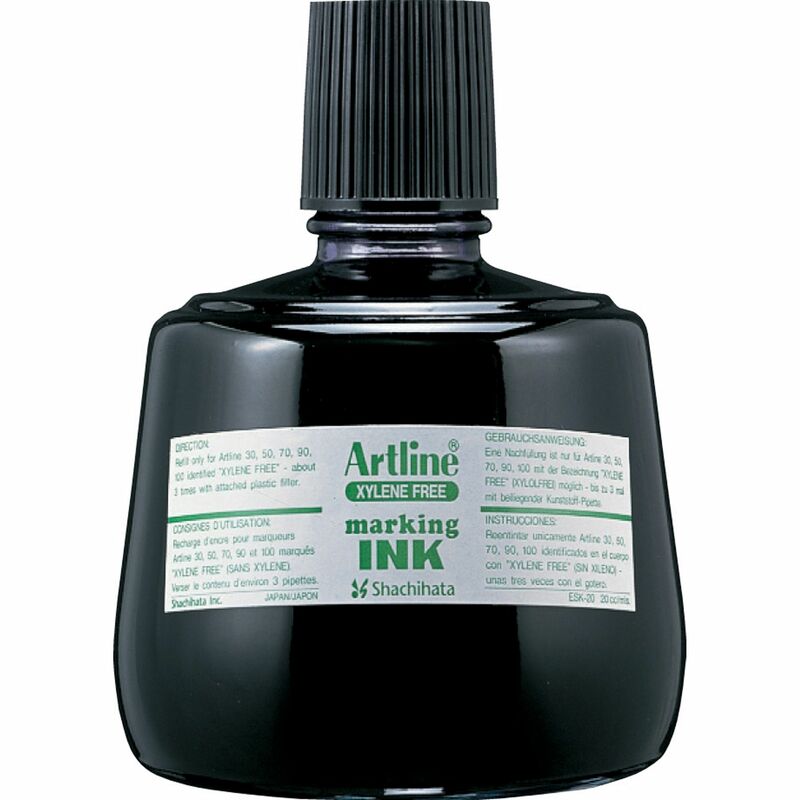 The metallic ink markers have pigments in the ink that are reflective and give a slightly embossed finish when dry. Featuring a handy pocket clip, with a hard wearing, superfine plastic nib for durability - this marker is ideal for all types of permanent marking where a fine line is required, such as shelf labelling, marking the spines of plastic files etc. 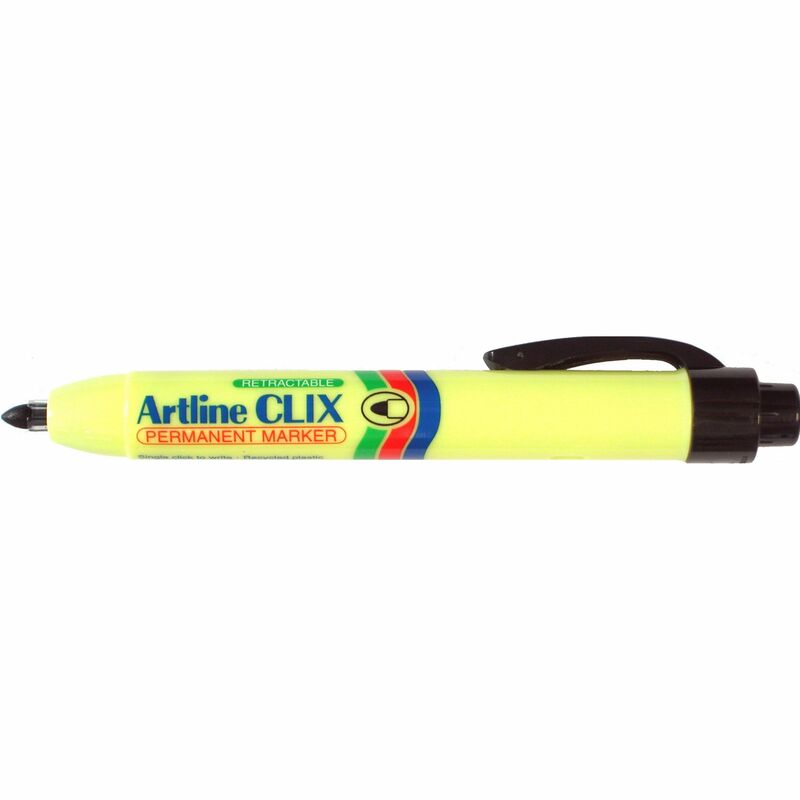 Take this marker anywhere with its slim body design and a handy pocket clip - ideal for all types of permanent marking. 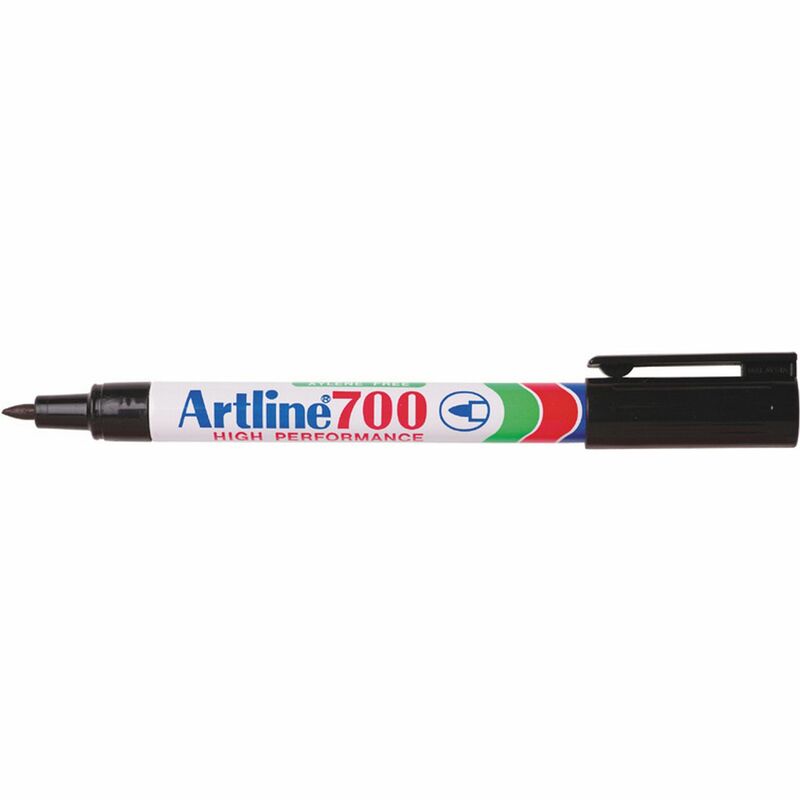 The Artline 250 has a very fine nib, making it ideal for all types of permanent marking where a fine line is required, such as shelf labeling, marking the spines of plastic files etc. 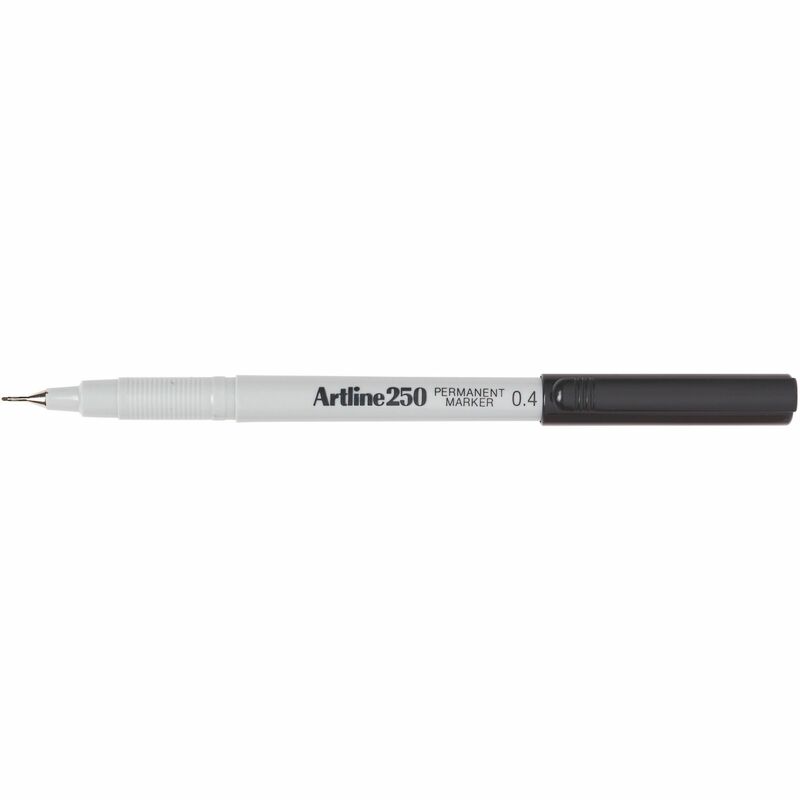 The Artline dual nib permanent marker is ideal for all types of permanent marking, with a super fine and fine nib for versatility and convenience. 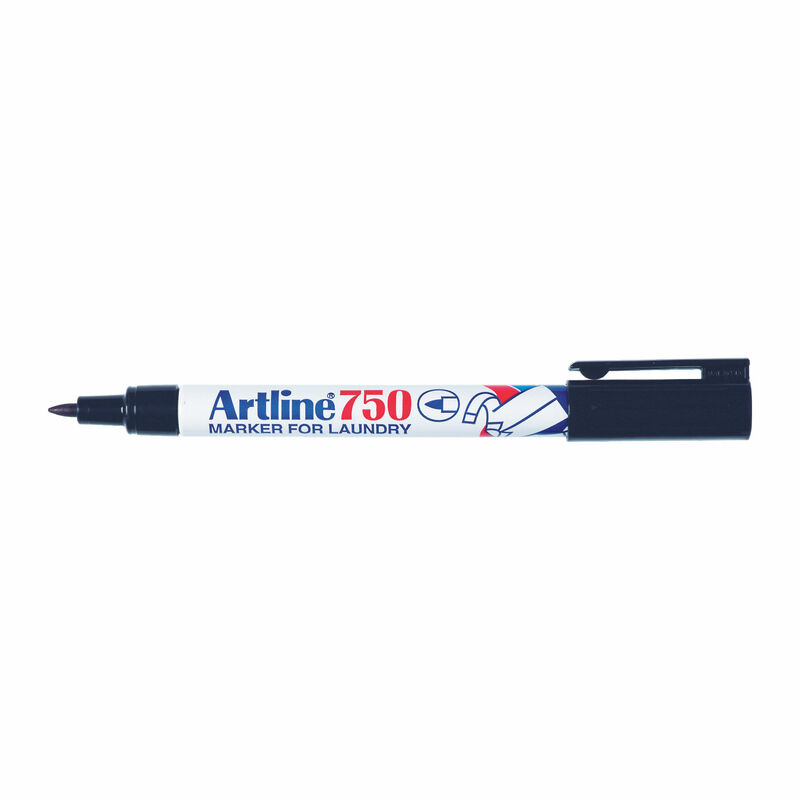 Overhead projection pen that can be used on nearly all smooth surfaces. Available in permanent ink. 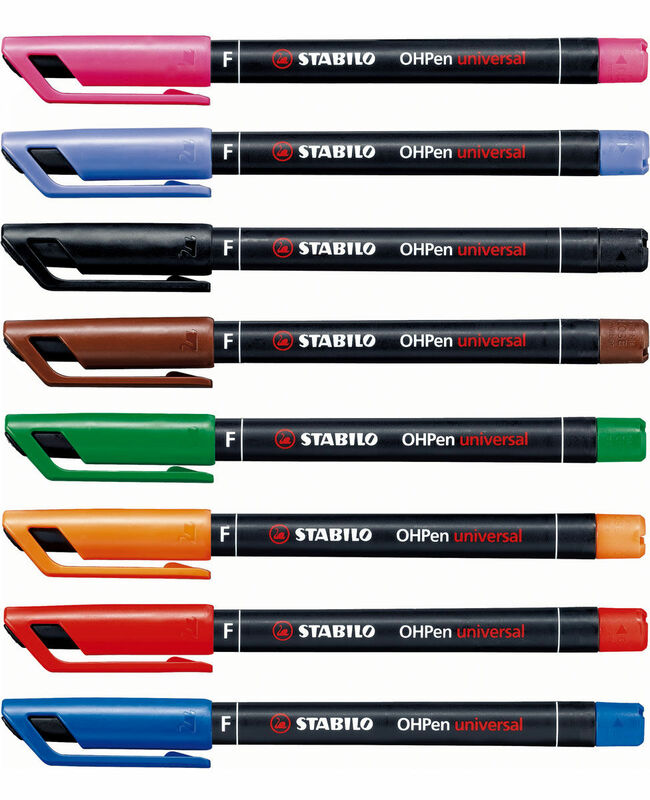 STABILO Write-4-All is ideal for writing on all types of surfaces, it has been tested on over 1000! 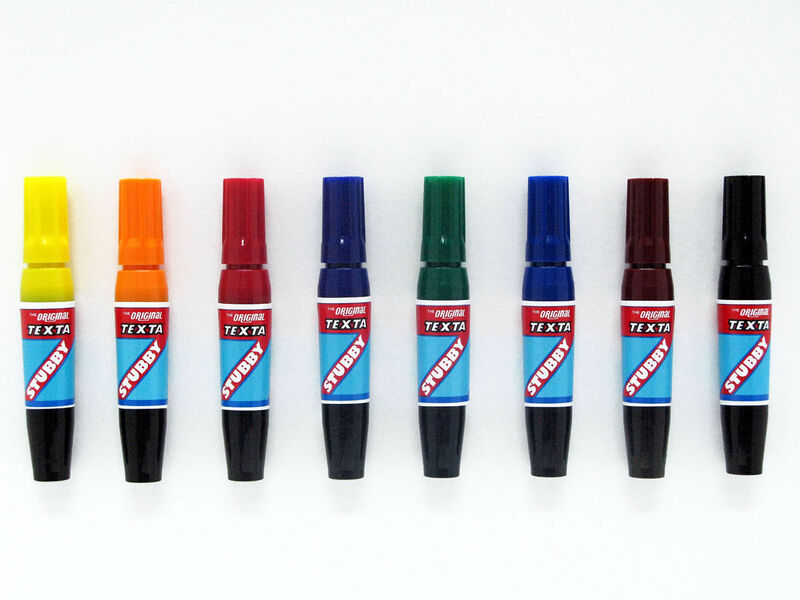 Permanent Markers with a fibre tip suitable for most surfaces. 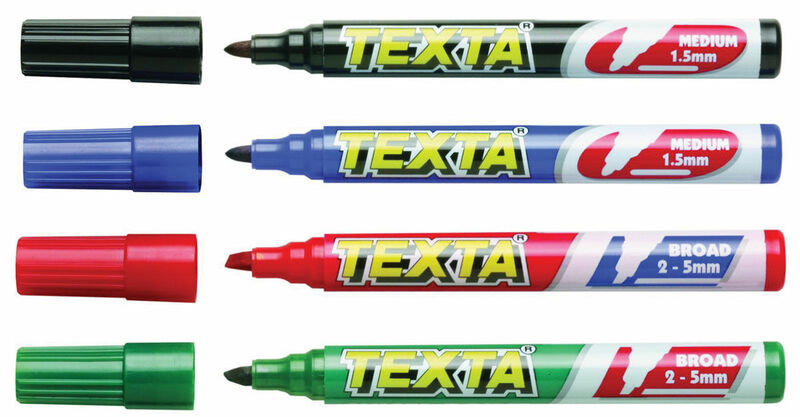 TEXTA Stubby Markers are multi-purpose permanent markers ideal for almost all surfaces.